Intermittent Fasting also known as ‘IF’ is not a diet, I repeat is NOT a diet, but is simply a period of time (usually 6-8hrs) during the day, where you schedule to consume all your calories for the day. Basically you eat your meals during your chosen eating window for the day, then not eat aka fast until the start of your eating window the next day. Example: My eating window is 1pm – 8pm and then I’ll not eat after 8pm until the next day at 1pm. During the fasting period, due to your body not having consumed any calories to use as energy, it begins to look elsewhere to find energy to fuel your body…this is where it uses the fat stores in your body hence making your body start burning fat. Some people even choose to workout during their fasted phase to take further advantage of this and burn even more fat, because while your body is exercising/working out it will need to fuel your body even more, thus having to tap even more into your bodies fat stores. You don’t HAVE to follow a strict diet, you can just work it into your current diet plan, as I said earlier it’s not a diet, its just a eating window for when you will consume your food. Finally, if it’s good enough for Wolverine (hugh jackman) then it’s good enough for you. You may find yourself at times desperately craving food and staring at the clock (especially when you first start). If you work a typical 9-5 job it becomes a little harder to schedule your eating window and stick to it every day (well for me it was anyway). Be sure to drink water throughout the day as it is allowed during your fasted phase, plus it curbs the cravings. If you work a 9-5 job try to remember to prepare food, you’ll get used to living out of tupperware boxes. 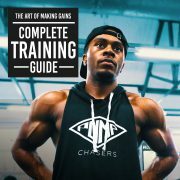 Like many people I heard about Intermittent Fasting (IF) through the HodgeTwins aka the Fasting Twins (If you don’t know about them then GOOGLE them asap). Anyways back to the topic, when I first heard about it I was highly skeptical as I have always been notoriously known for eating at all times of the night, for this reason I wasn’t sure how I would adapt to it. HOWEVER, after I got through the first week and a half of serious night time cravings, my body then began to adjust to my new eating window which as 8hrs at the time. I would say it wasn’t until week 3 where I personally started noticing a difference in my physique as I began to gain more definition in my delts and triceps. As you can imagine I was quite happy baring in mind, I hadn’t actually changed my poor eating habits (I have now though 🙂 ). 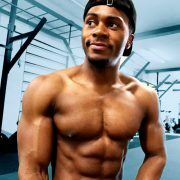 Due to having to complete my final year of University and the stress of finishing assignments, I had to limit my gym time and eventually stopped IF for around 2 months, but after jumping back on it, I have learnt from my past experiences have started it better this time by sticking to my tips above and eating relatively healthy…unlike before. As you can see by my photo, I have lost quite a bit of body fat and leaned up a lot more. 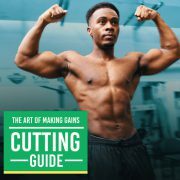 Hope this article can help any of you and save you making some of the mistakes I made along the way. ← WHEN IS THE BEST TIME TO WEIGH YOURSELF?